After several weeks of reviewing the district finances for the past several years, the new treasurer of the Monroe Local Schools has verified that the district has a deficit for FY12 of $2.7 million. The Board of Education and administration must submit a plan of action to reduce the deficit by June 30 to the Ohio Department of Education. At this time the Board of Education and the administration are seeking public input. Meetings will be held at various times over the next week before the Board meeting on November 28. Meeting times are as follows. Meetings will be held at 500 Yankee Road in the Board Conference Room. This is the forecast that was filed at the end of October. 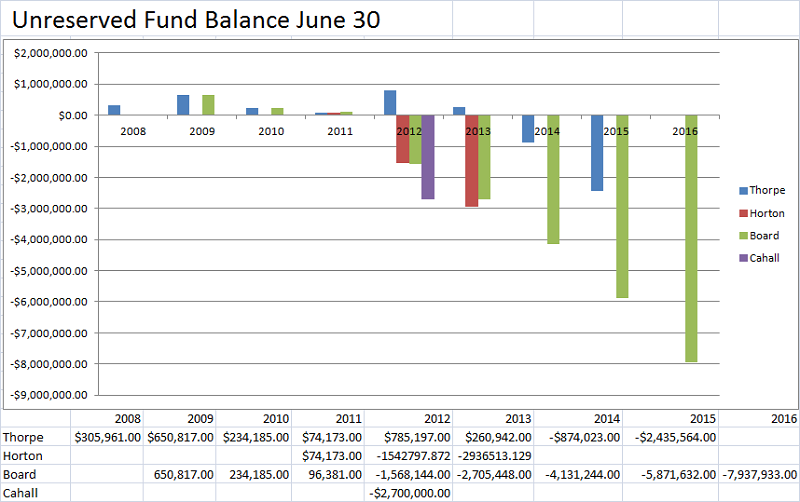 Please note that the deficit in the bond retirement fund is not included in this OPERATING forecast.